Who doesn’t love a hearty Italian meal that’s comforting to the soul? Who doesn’t love a hearty Italian meal that’s comforting to the soul? If you are craving for some authentic Italian fare that is both delicious and affordable, look no further than Pastamania for your pasta fix! Whether it’s a date night in or a casual hang out with a friend, GrabFood’s Pastamania delivery service allows you to order a complete meal with all the works! With your meal being made to order, you can be assured that you get your pasta fresh and packed full of flavour. What’s great about Pastamania is that you get to customise your pasta to your liking! Get to choose your favourite type of pasta from the wide selection available: Linguine, Spaghetti, Penne, Fusilli and the healthier Wholemeal Spaghetti. Furthermore, you can include additional ingredients to your order for a unique pasta creation! Pick from ingredients such as chicken, beef, prawns, and shiitake mushrooms amongst others to create a pasta dish that suits your taste buds. For the ravenous, there’s even an option to upsize your pasta so you can be sure your hunger is truly satisfied. 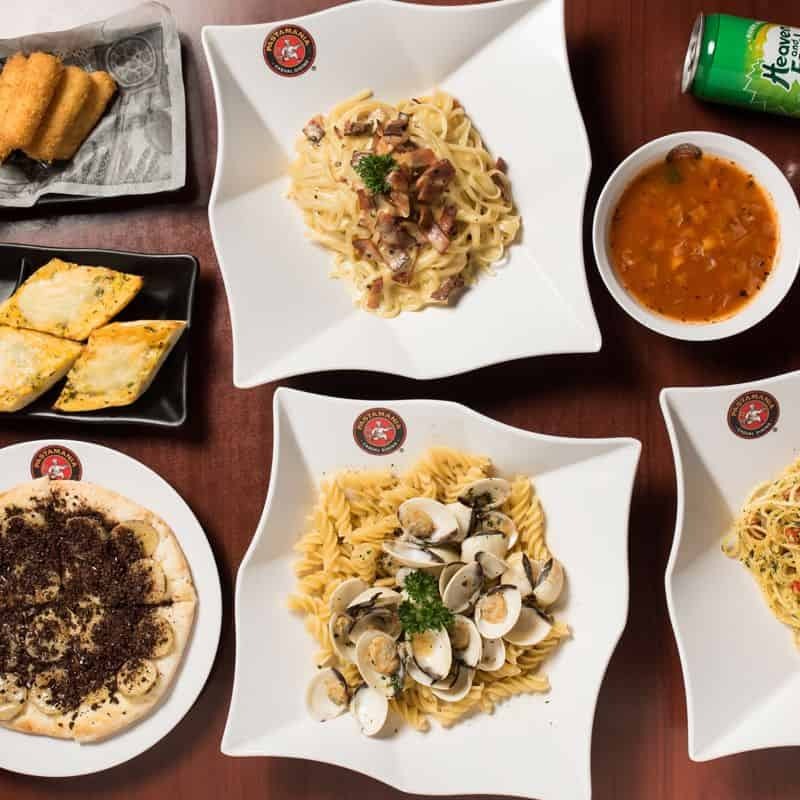 Browse through the Pastamania menu and get your fill of a variety of pasta classics that are a hit with the crowd, such as the Carbonara, Creamy Chicken or Seafood Marinara. For the health-conscious, there are healthier pasta options such as the Spicy Prawn Aglio or the Spicy Chicken and Vongole so you can enjoy your pasta without the guilt! Appetisers such as the Cheddar Cheese Stick and Honey Garlic Chicken are terrific starters for your meal. If you feel like having other types of Italian food, the pizza and baked rice options are wonderful alternatives to pasta. Pizza lovers can go for the 10-inch Hawaiian or Chicken Ham and Mushroom Pizza while rice enthusiasts will definitely appreciate the Chicken Ham and Sausage Baked Rice or Mushroom Baked Rice. Pastamania knows that dessert is the best way to end your meal, so choose from the Apple Crumble Brownie, Banana Brownie or Nutty Cioccolato Brownie for a sweet after-meal treat! If you’re looking to have a wholesome meal, why not check out Pastamania’s Best Value set meals for delicious deals with amazing value? The Bundle Meal for 2 is an excellent choice if you have company. Comprising of 2 pastas, 2 appetisers and 2 drinks, there’s everything you need to keep you and your dining partner happily stuffed. Take it a step further and order the Feast for 2, where you get 2 pastas, 2 appetisers, 2 drinks plus a decadent dessert to round off your meal. For some local flavor, the Fusion Pasta Executive Meal is your best bet! 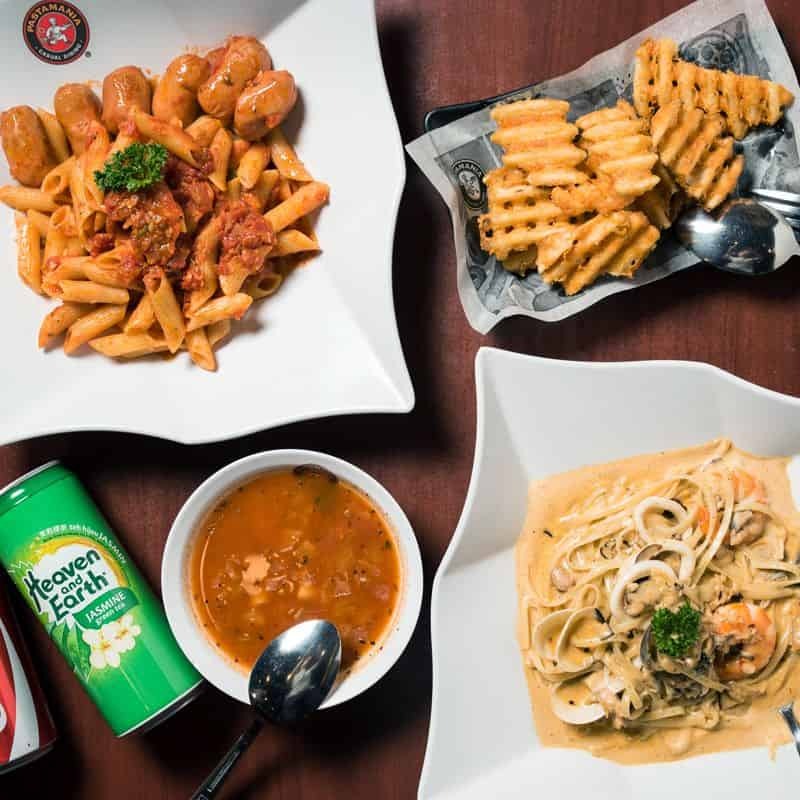 The set lets you select from two types of fusion pasta – Seafood Tom Yum or Salted Egg Chicken Pasta – and comes with an appetiser, dessert and drink. Alternatively, the Fusion Pasta Value Meal, consisting of your choice of fusion pasta, an appetiser and a drink, is available as well. 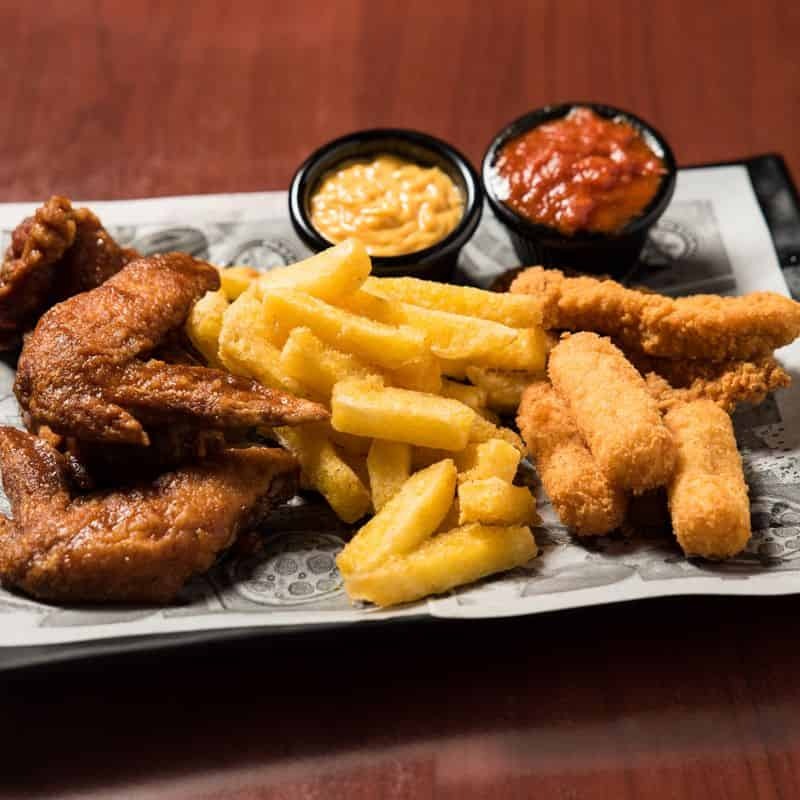 For tasty bites that are perfect for sharing, the Sharing Set for 2 gives you a choice of 2 of your favourite appetisers. Choose from the Calamari, Waffle Potato, Cheesy Garlic Bread Trio and Crispy Chicken Fillet for sides that act as the ideal accompaniment to your pasta. Whenever you’re up for some Pastamania, GrabFood’s food delivery app makes it so simple to order comforting Italian fare that gets delivered to your doorstep. No more meal prep or doing the dishes, let GrabFood do the work for you.